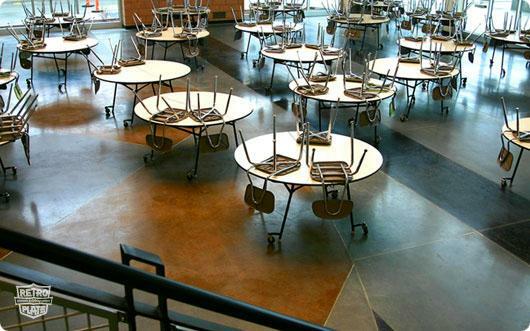 This high school cafeteria is a blend of function, design and environmental responsibility. 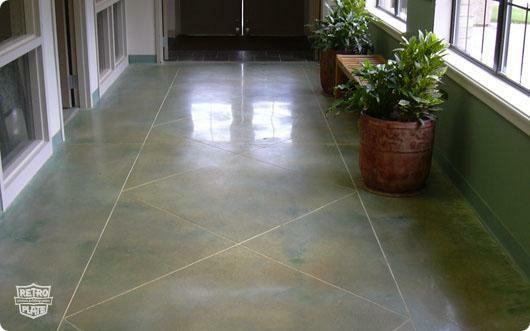 The graphic was created with both natural concrete color and acid stain within a terrazzo strip design. 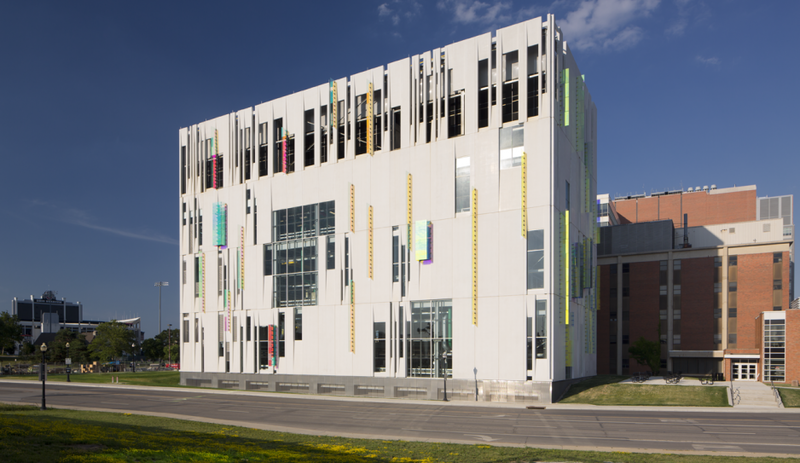 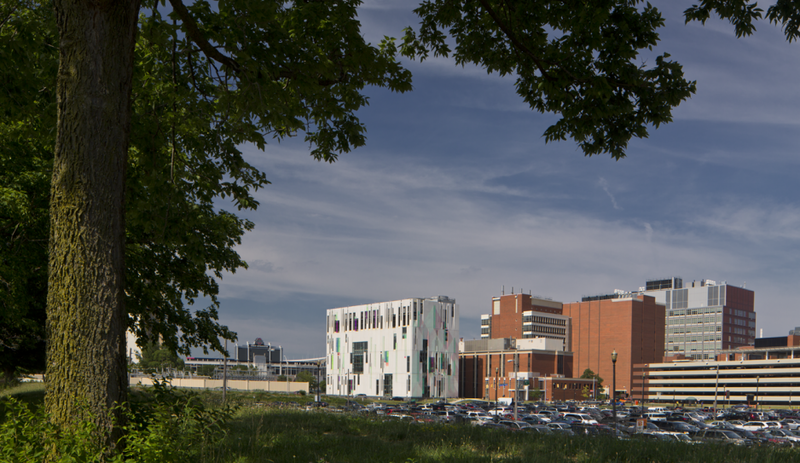 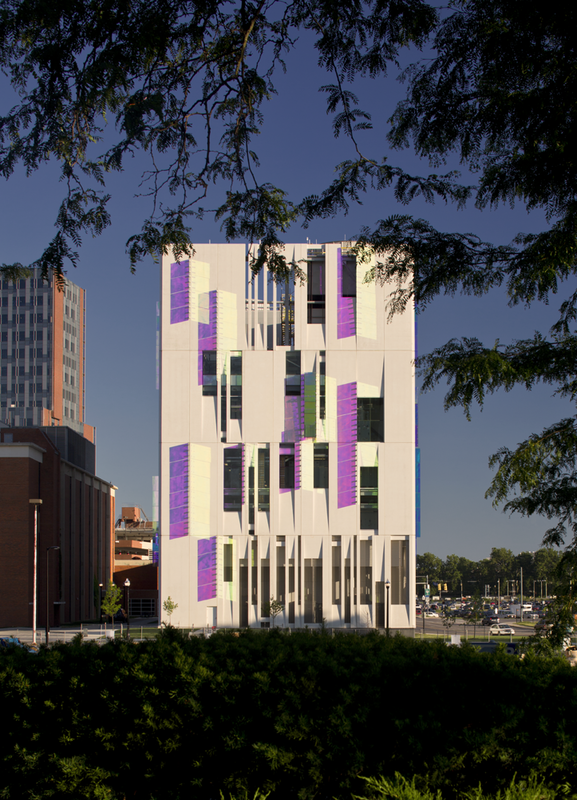 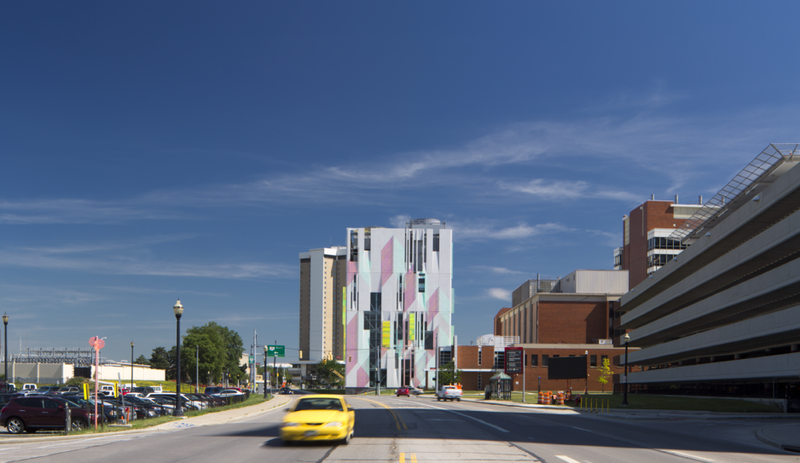 A great example of “building green”, this project was awarded a silver LEED designation. 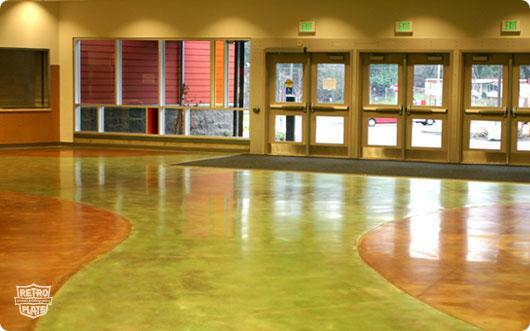 The floor was polished with the traditional RetroPlate method by starting wet from 30 metal to 200 resin and finished dry from 400 – 1,500 resin. 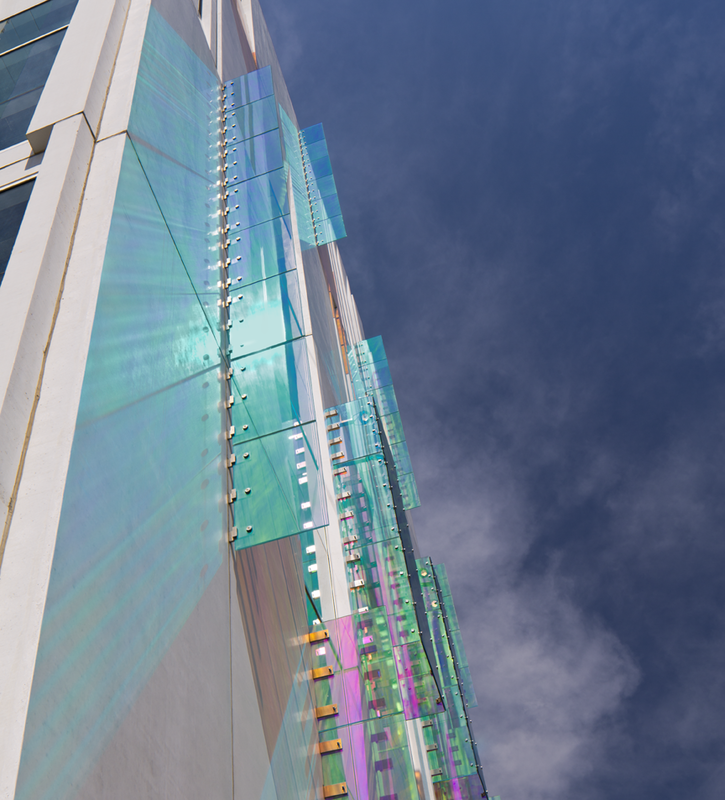 RetroPlate was applied to the point of rejection, maintained wet for 45 minutes, left to sit no less than 24 hours before polishing and used with a fully refined polishing system. 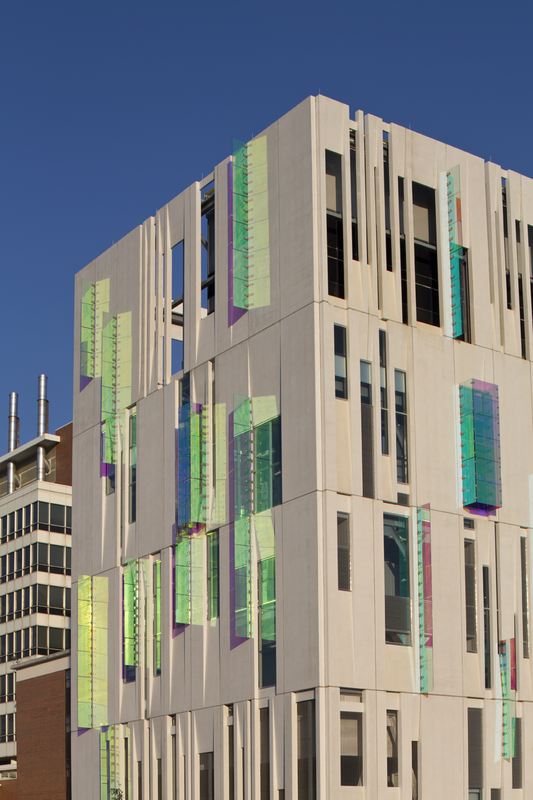 Results were quantified through the use of a profile meter. 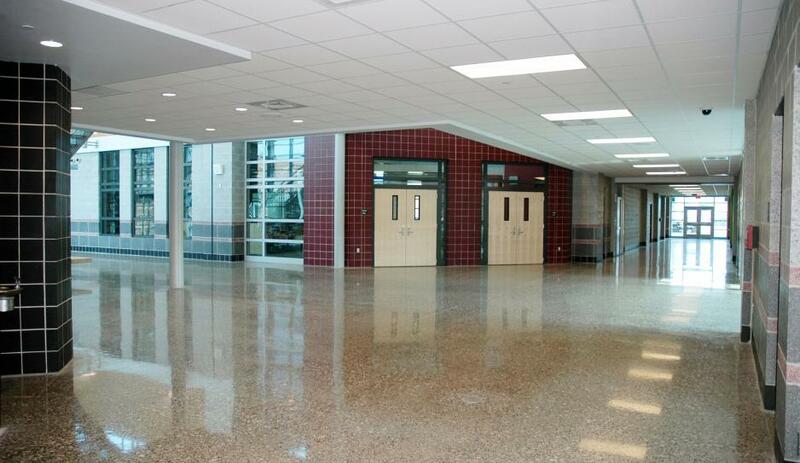 The school system’s floor care cost were reduced by 60%. 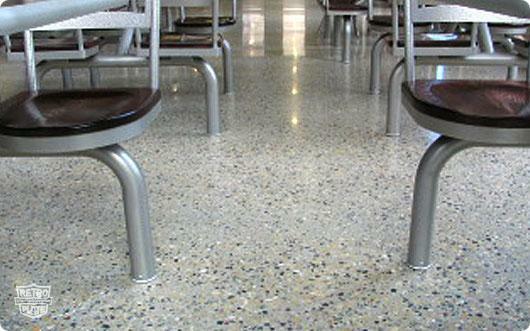 Won 2nd place in the ASCC category for polished concrete. 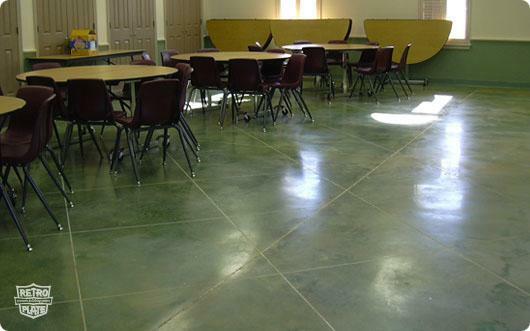 Cuviello concrete is not a member of ASCC. 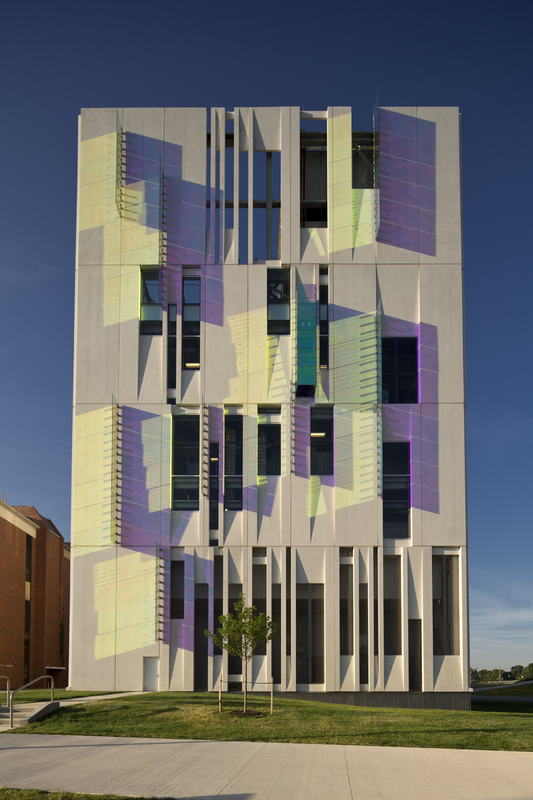 The winner was an ASCC member. 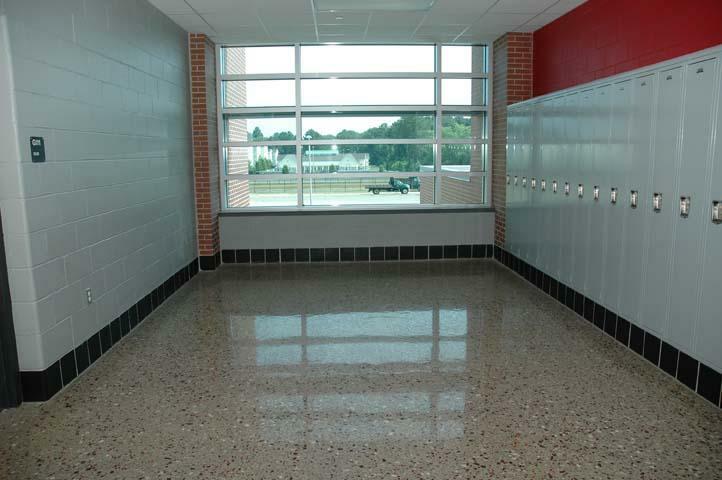 As a result of the significantly reduced floor care cost and aesthetic qualities, the new Bennett Middle School will receive the same flooring system to be performed in July 2014. 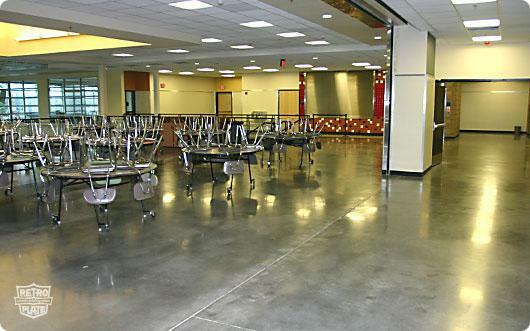 Cuviello Concrete has been awarded this job and will not only include corridors but also classrooms totaling 95,371 ft2 of area. 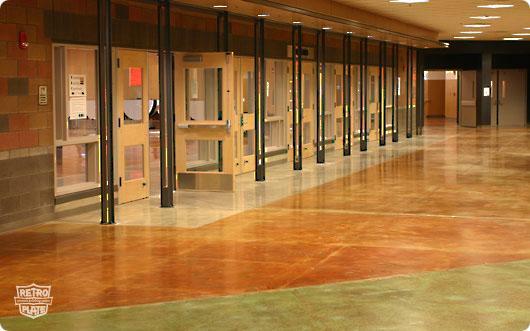 This school in Texas combines the natural look of acid staining, saw cutting, and RetroPlating to add richness, color, and pattern for a unique and beautiful floor. 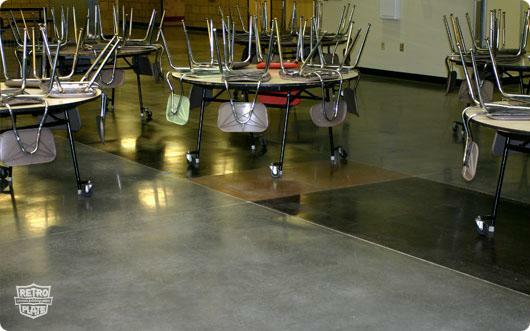 The halls, cafeteria, and classrooms all received saw cutting patterns, acid stain, and RetroPlate. 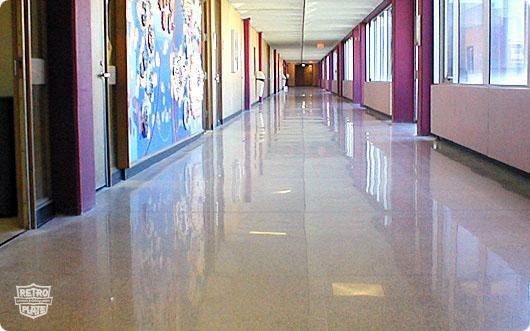 The existing terrazzo floors at this college campus have been RetroPlated providing looks, durability and ease of maintenance. 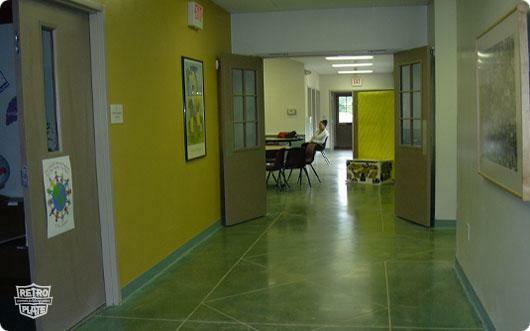 The maintenance regimen now consists of dust mopping and occasional running an automatic scrubber over the floor, compared to the stripping, waxing, buffing, mopping and scrubbing that was required before the RetroPlate System transformed these floors. 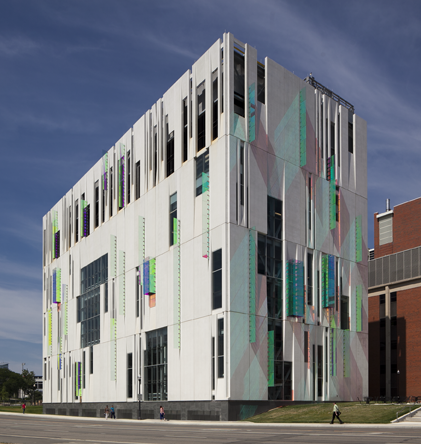 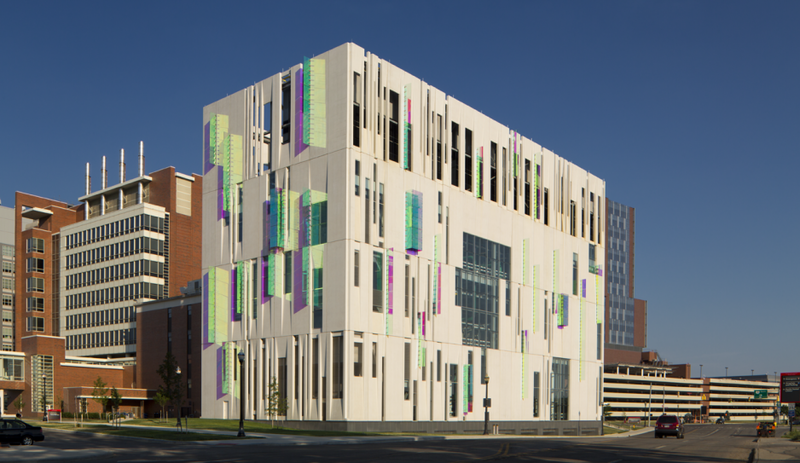 Ohio State University’s Chiller Plant Facility is one, unique building. 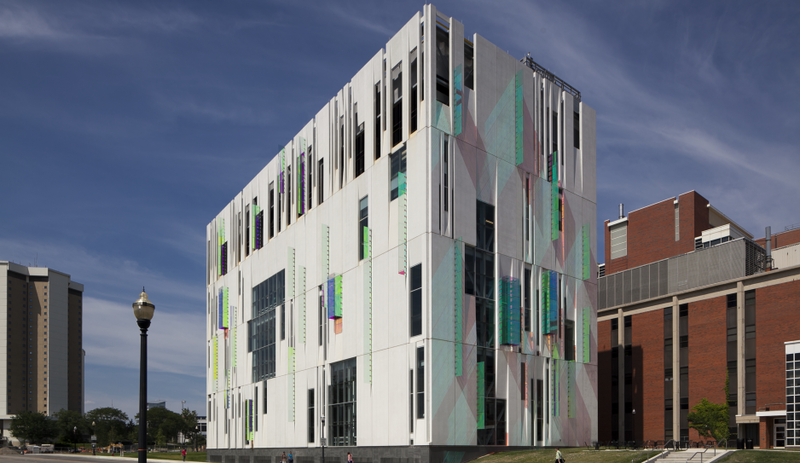 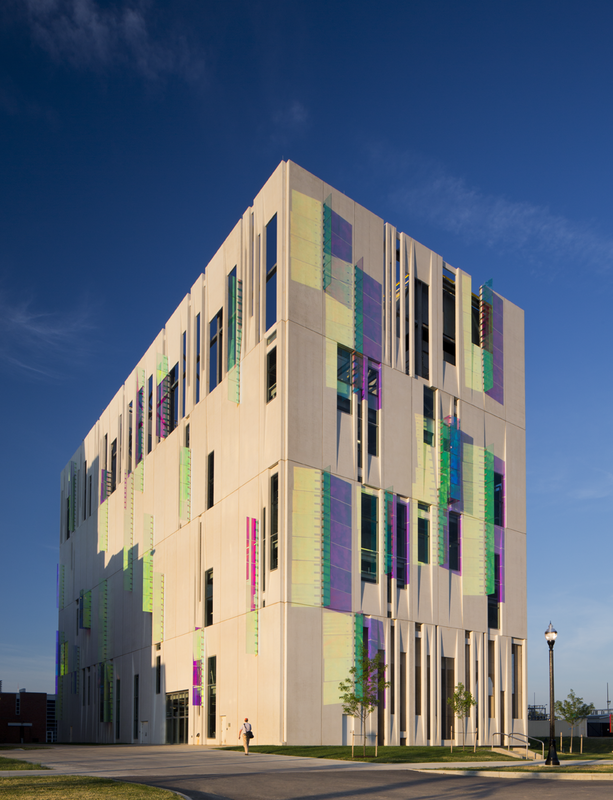 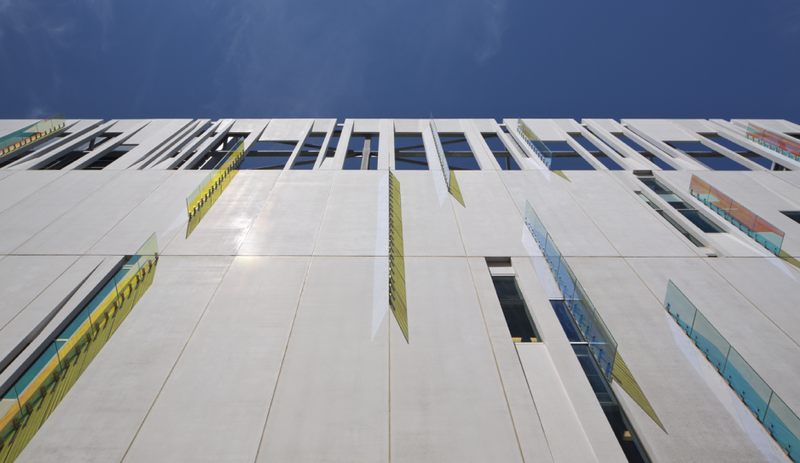 The exterior of the building – more than 250 precast concrete walls – was polished with RetroPlate. 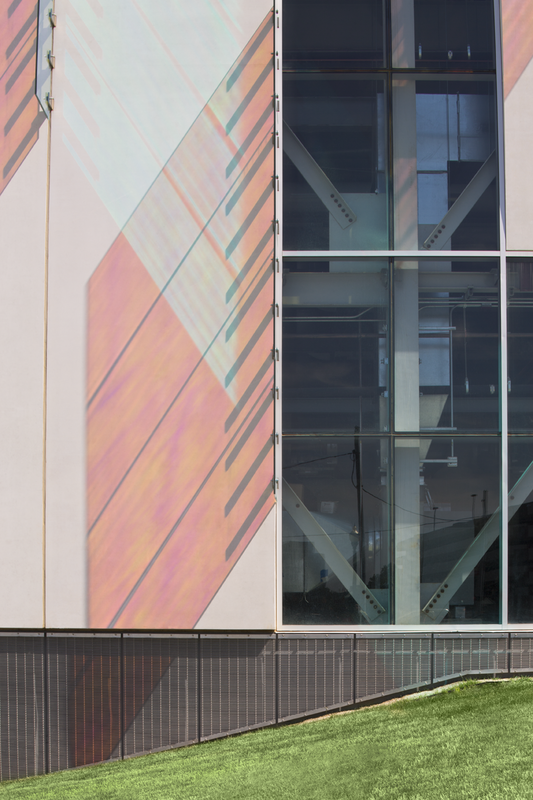 Final Finish, based in Canton, Ohio, did a superb job of polishing the wall panels which reflect the natural light throughout the day. 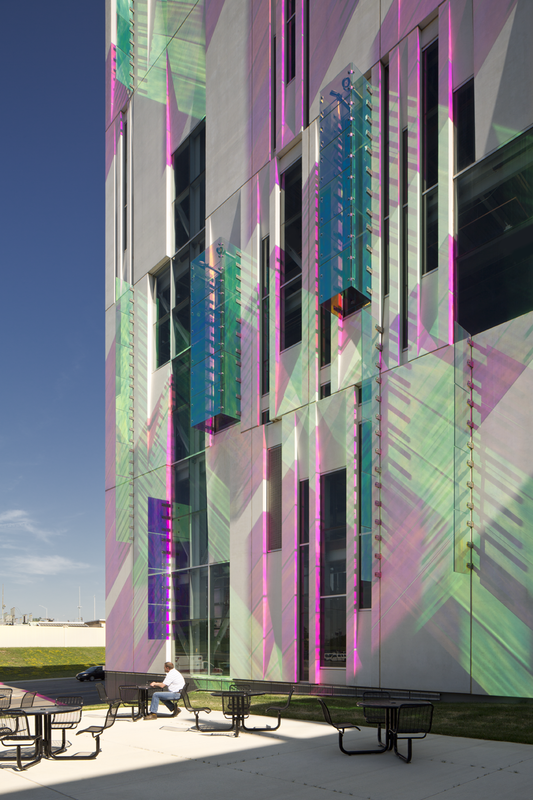 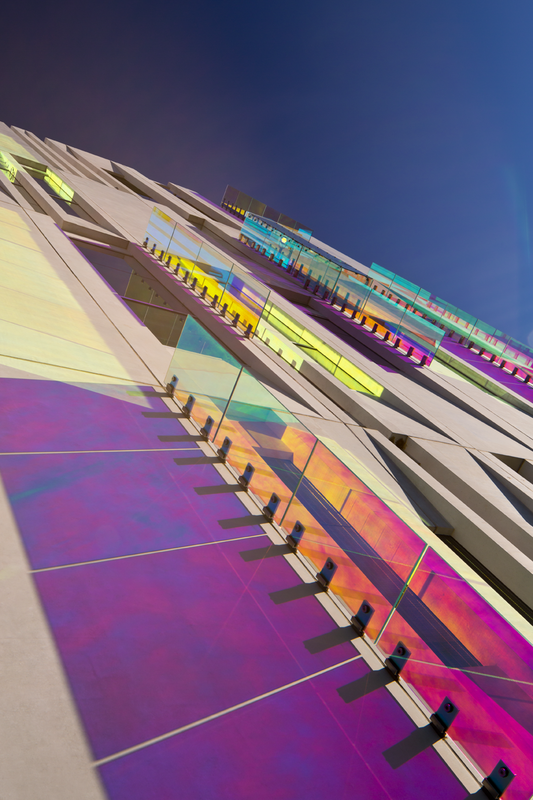 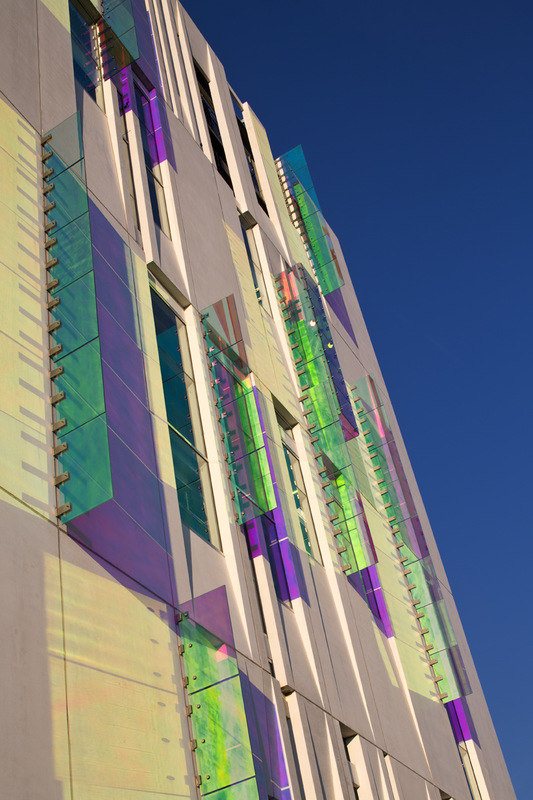 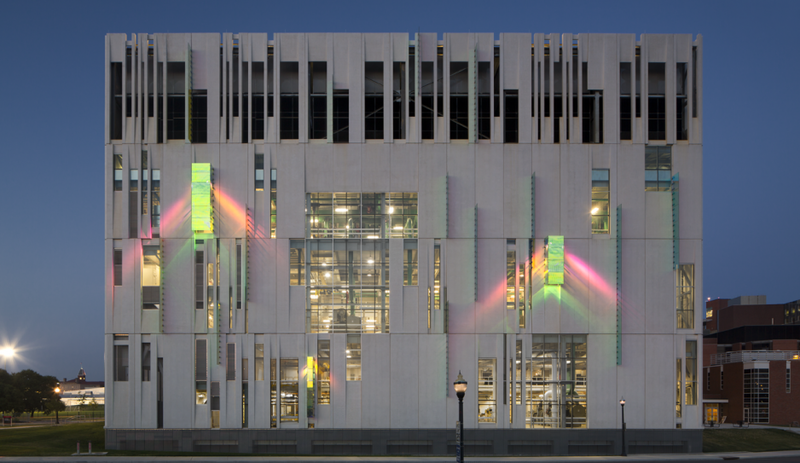 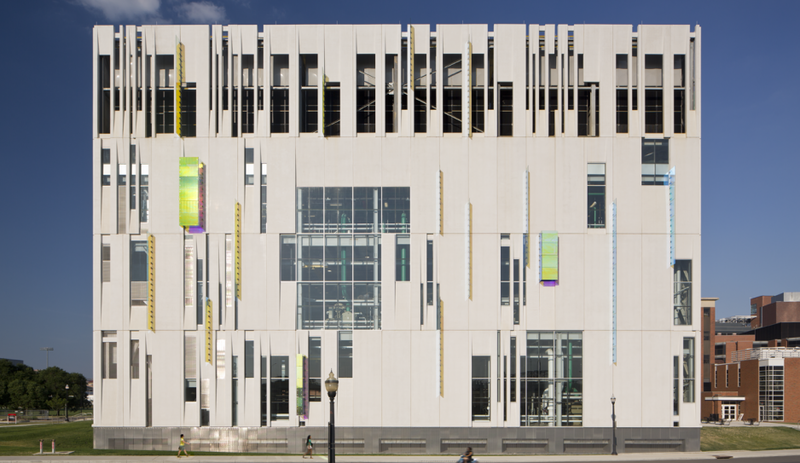 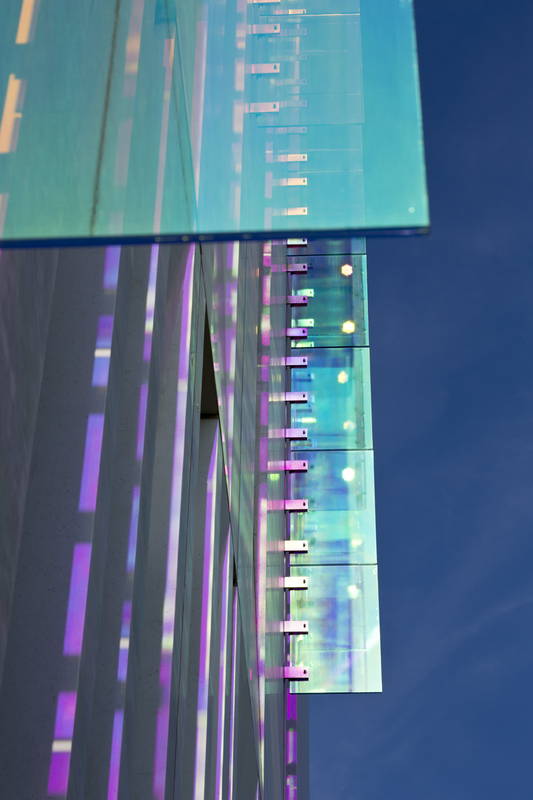 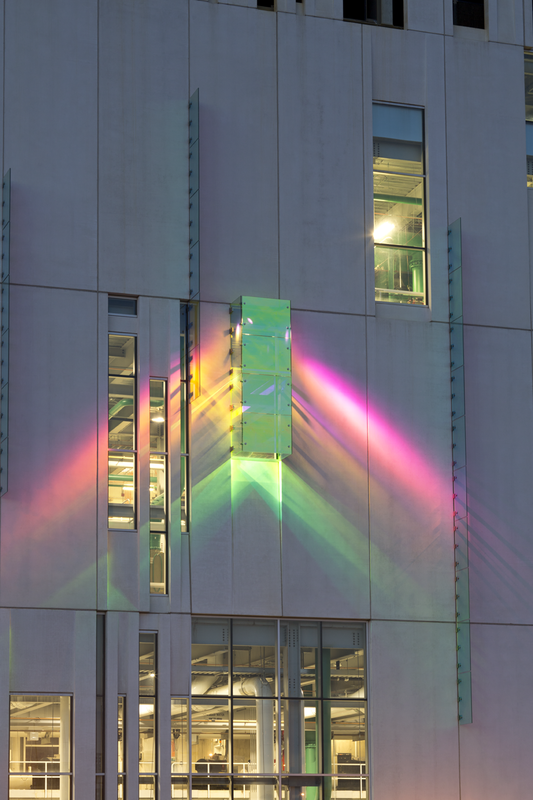 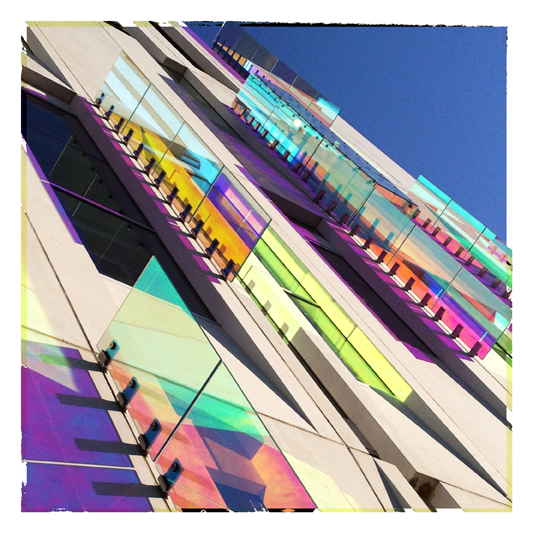 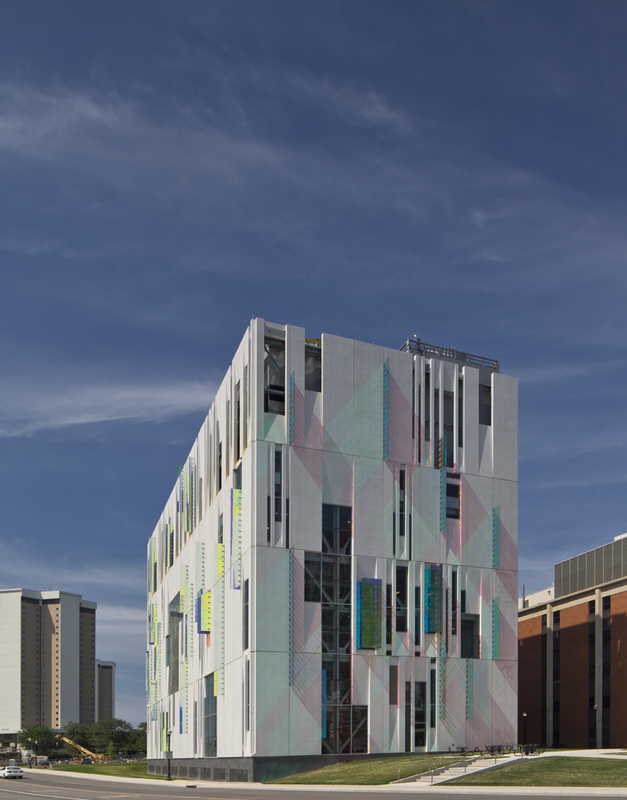 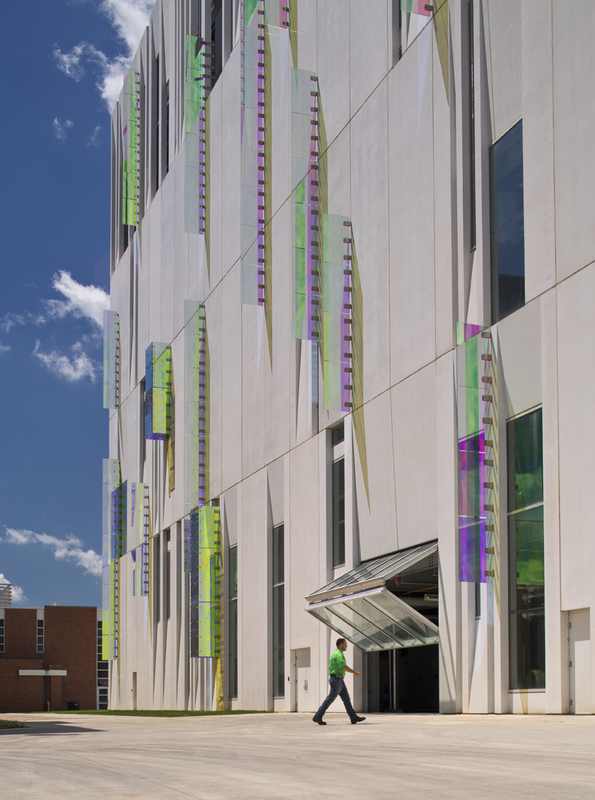 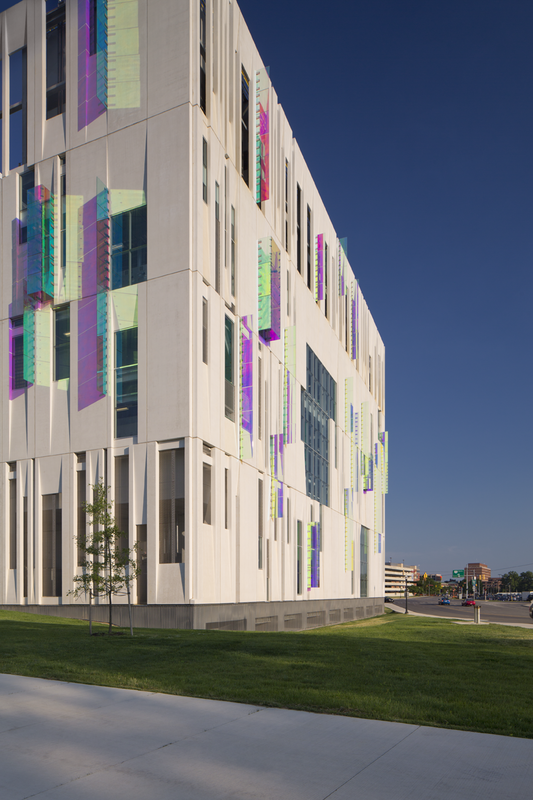 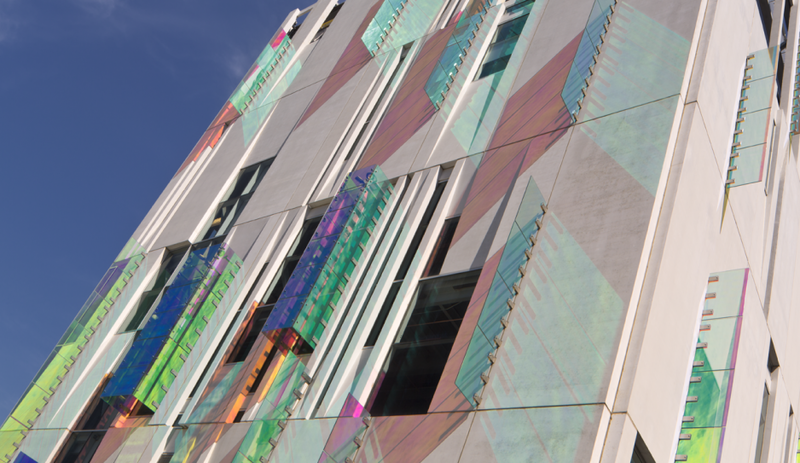 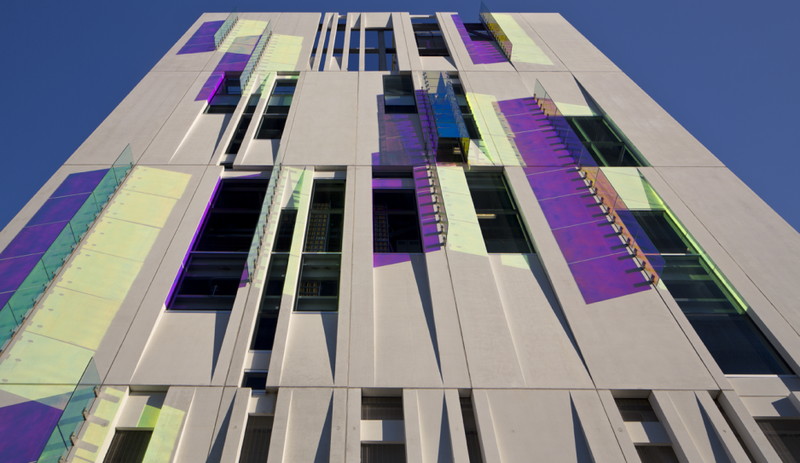 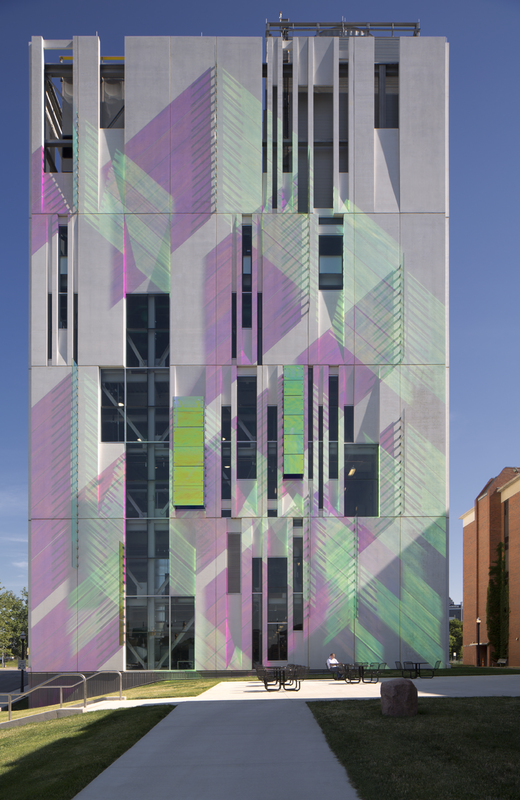 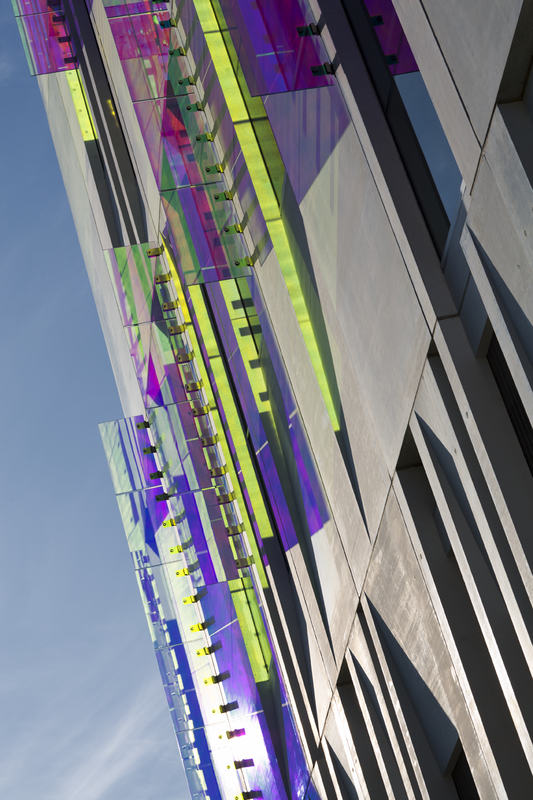 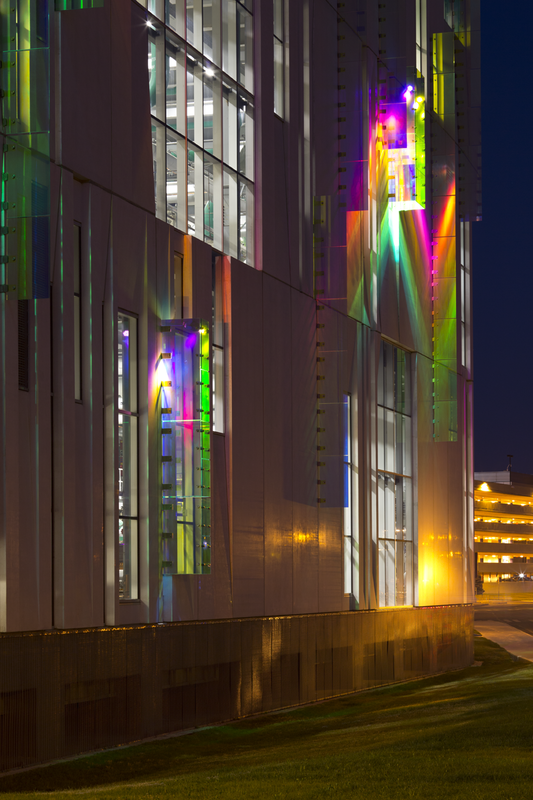 In addition to the concrete-polished exterior of the facility, dichroic glass fins (metals or oxides in glass that provide the glass with optical characteristics) also transmit and reflect natural light, creating a dynamic color show on the building’s façade. 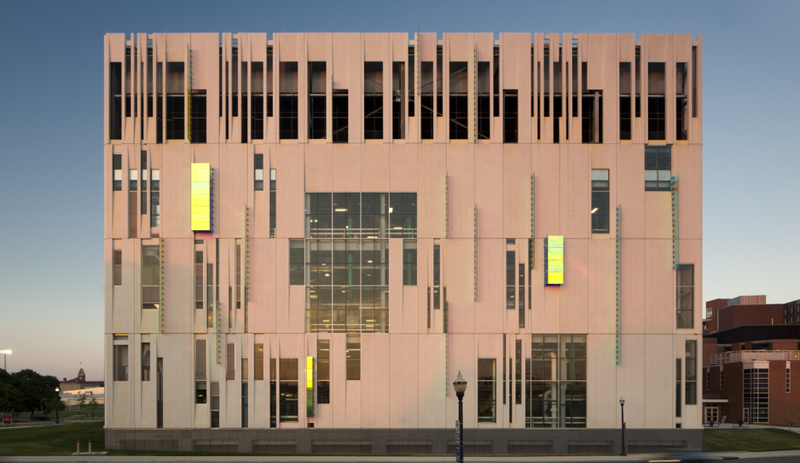 The owner and architect selected RetroPlate to ensure the durability of the concrete wall panels, ensuring it could hold-up to the elements, all the while serving as a uniquely attractive and stunning show piece. 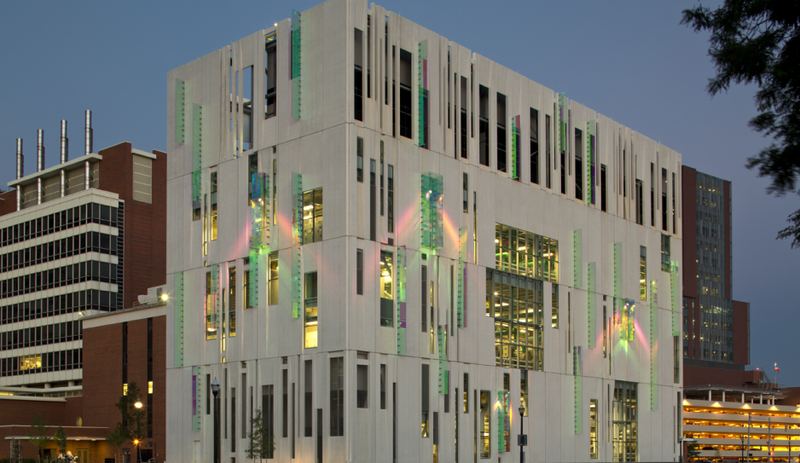 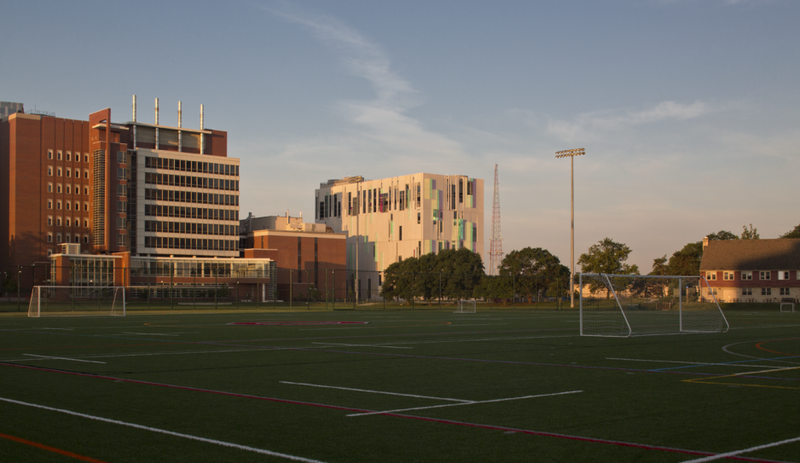 This facility was awarded LEED Silver for its incorporation of sustainable principles. 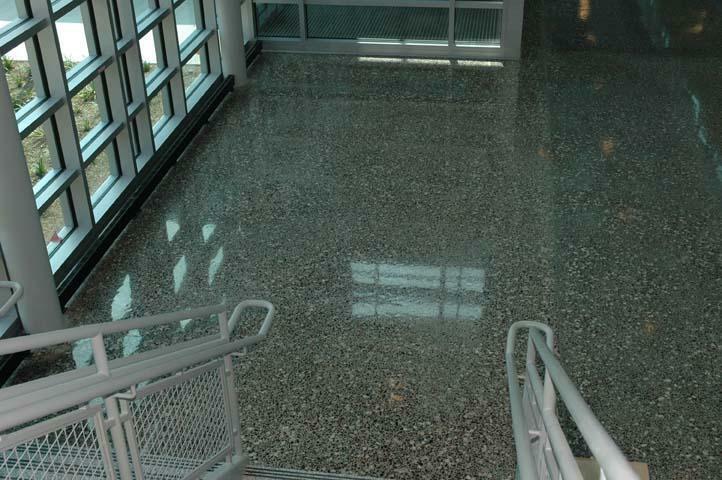 A close-up on the 20,000 square foot RetroPlate application at this Canadian college shows the beautifully polished exposed aggregate. 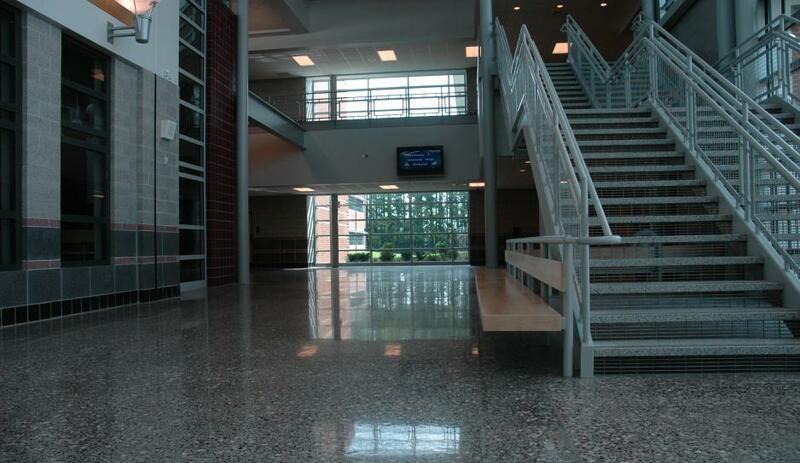 The grinding step during the RetroPlate System can expose heavy aggregate, light “salt and pepper” aggregate, or no aggregate to give different options and enhance the natural look and feel of polished concrete.